The Western world intrigues us a lot. Their diet, lifestyle and dressing sense are revered among the Asian cultures and adopting them seems satisfying on so many different levels. We tend to experiment with stuff and try creating intermediates to match up to the Western standards while maintaining the Indian culture and traditions. We are talking Indian dressing style like Saree, Indian Kurti, etc. The apparel known as Kurti is one such successful fruit borne of our desires to create something out of the box and stand out of the crowd. From providing an ethnic look to competing with the foreign fashion giants, kurti serves a variety of purposes. Found in almost every Indian lady’s wardrobe, it is not just a threadwork of fabric, but a confusion killer and a fashion statement. 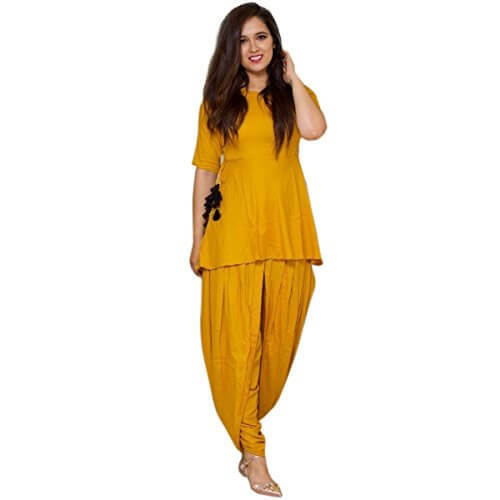 A female counterpart of a kurta is categorized based on its design, the region of origin and many other such factors. 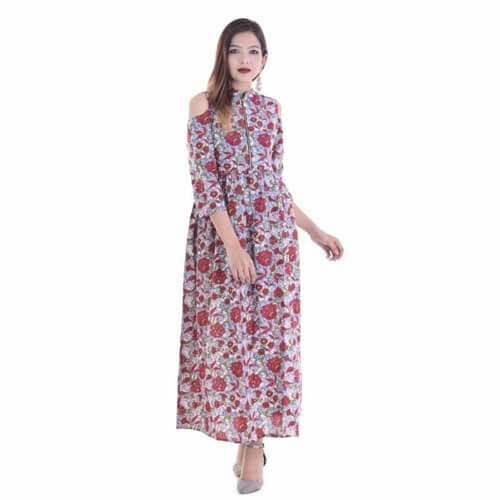 Draping the torso of the pretty ladies and even the arms, kurtis are a must on the shopping list of every fashion maniac, i.e., the women and the teenaged ladies. 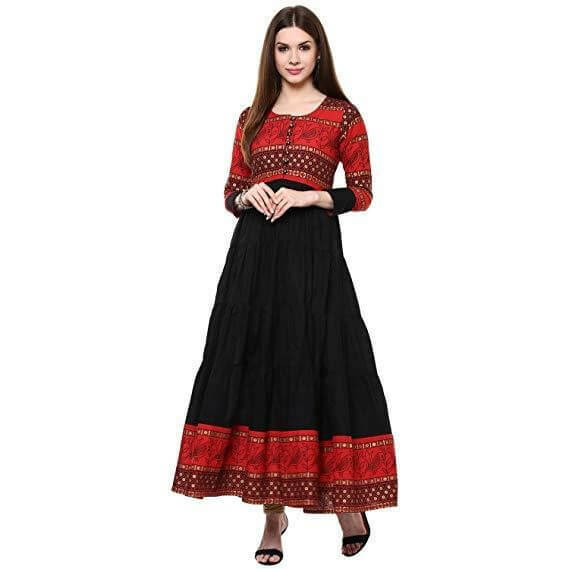 A popular name in the world of ethnic apparels, Anarkali just goes with any occasion from formal office hours to the festive seasons with the loved ones. The artistic embroidery and design suits women of all age groups and thus, it can be considered a versatile kurti. Parties and get-togethers offer the perfect setting and moment to flaunt an elegant Anarkali kurti. As the name suggests, this type of kurti has a slit in the front side to expose the fashionable garments such as leggings and palazzos. A casual variety of kurti, the front slit type steals the attention during social gatherings and can also be donned as an office outfit. These are also suitable for wearing at home as they are comfortable and soothing. Sort of a contemporary and modern attire, but still with that little tinge of tradition, the shirt style kurti is comfortable and provides a professional and formal look. 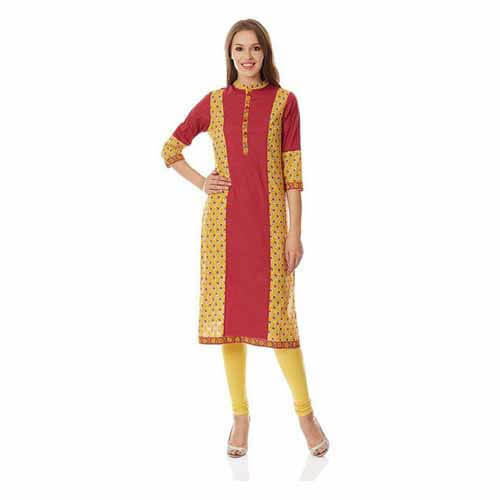 Suitable for office and home, these Kurtis serve their purpose well. For parties and gatherings, this kurtis are not the prime choice as they appear too formal and simplistic. Nevertheless, professionalism is what these Kurtis display and are the optimal attire for the office and college-going ladies. A party type attire, tail cut kurtis provide that fashionable appearance women and their peers look for while lacking the formal aura. It can be considered the opposite of the Shirt style kurti. These are asymmetrical in terms of lower end’s length. The front side is usually shorter than the rear side, providing a tail like a look, hence, the name tail cut. Although, the reverse is possible as the tailoring world is an ocean of infinite possibilities, yet the rear tail designs prevail and this type of kurti is much sought after and trending. It just bumps up the gorgeousness during any gathering and is a visual treat for the onlookers. A daily wear as well as eye-catchers during parties, the Angrakha kurti is highly related to a musician’s appearance, especially a royal one. With flaps and straps along two sides that can be decorated using tassels, pompoms or any other artistic item in accordance with one’s choice. It suits women of all body types and comes with a wide variety of designs and embroidery to choose from. Known for its shape-shifting properties, the princess cut kurti provides a perfectly shaped draping and an illusionary slimmer look-therefore, highly sought after. These are suitable for home wear, college, and office and as evident from the name, create a princely appearance. It goes well with goggles and fashionable footwear and is highly customized. The lower end or the hemline, as the name suggests, is shaped like a dhoti and this type of kurti is considered suitable for parties as its unique design segregates the lady flaunting it, apart from the masses. Trending and in demand right now, these Kurtis are a must for every kurti loving lady, but should be avoided with women having round body shapes. Another versatile form of kurti, the flared variety is suitable for both formal and casual occasions. It is typically narrow at the top portion and the lower end or the hemline is flared, i.e., gradually widens. These are usually strapless and suits ladies of all body types but should be avoided by the ones with round shaped bodies. A comfortable type of kurti with long drop sleeves and a loose fit, the Kaftan style kurti is airy as well as fashionable. These are suitable for causal meetings or parties but should be avoided in case of formal or professional occasions. Goes well with leggings as well as jeans and thus, it is a prime choice of the ladies attending college. Petite ladies should avoid this type of kurti though as it drapes the physique almost completely. The wide world of Kurtis cannot be put into mere words and is supposed to be explored visually. If the physical markets seem a nuisance, then the online stores surely become guides during the exploration of the fashionable Indian Kurti realm. One such guide is Stylecaret, a prominent online fashion hub that provides a wide variety of fashion products, ranging from Indian Sarees and Kurtis to the accessories that go along with them. Previous article Which is the Most Powerful Religion in the World?